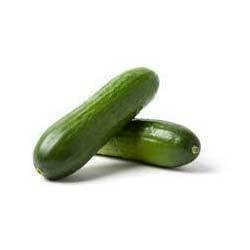 - Uses :Calorie consumption in cucumber are very low and it contains just 15 grms of calories per 100 grms. - Calorie consumption in cucumber are very low and it contains just 15 grms of calories per 100 grms. We are engaged in manufacturing and supplying of Cucumber Extract to our valuable clients. 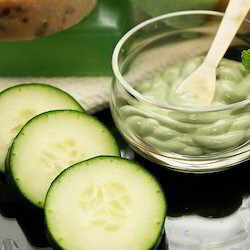 Cucumber fruit extract is a natural skin emollient and softener with cooling and tonic properties. Ideal in skin cleansers but also soothing body lotions and skin creams, especially after-sun products. Softens and nourishes hair. Use: Add to formulas to the water phase. We are a top notch supplier of Cucumber Extract. By concentrating these 5 times the normal, we help save customers a lot on shipping costs. These can be diluted 5:1 with distilled or filtered water to get the common available in the market.